I think the creator of the theme... though that way... but I think the quoted text color is more disgusting. I guess, basic configs been taken care of by ranD. who has done quite a good job. And the sharingan addition seems good to me, regardless of abo's gayness. If you’re using FireFox, right clicking the page and selecting “Inspect Element” you can see the HTML code and on the right side the CSS Stylesheet for the selected element, you can make changes in real time and see how it looks, then when you like it just go to the forums settings and apply the changes to the complete CSS Stylesheet of the forums layout. theblacktac wrote: Zeust did, no? Now only the dark blue name is remaining.. can't find anywhere in the CSS Stylesheet, there's no function to edit there, probably is something in the settings, gotta dig there then..
Find a good looking phpbb style in google, and use it here. If this is too dark, we could use one of those many themes but, should we make a poll or something? also some people suggested to make a contest. Guys, everything is ready to go official, just gonna fix some missing icon here and there but nothing else is missing. By the way, since this month is dedicated to SnK, we need some nice SnK banners to use, right now we've 3, I think 7-8 should be enough (for the random banner widget). The size should be 1000x288 like the main site banners. PS: you can't use the css stylesheet to edit the dark theme because it's on a different url, if you need to change anything, send me a pm here or in chat, or reply in this post. RanDom wrote: By the way, since this month is dedicated to SnK, we need some nice SnK banners to use, right now we've 3, I think 7-8 should be enough (for the random banner widget). The size should be 1000x288 like the main site banners. Here are some suggestion on my part. - I think the width size can go to ~1100. It'll look better. - Keep in mind that banners should be compatible with themes. And we have dark theme as well. So there should be some banners that go with light theme and some with dark theme. It's a bonus if banner fits well in both themes. 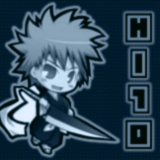 - You can add the term "Forums" in the banner, so collectively it'd be "Hi10 Anime Forums". Like what I did the banner of Snk which is lost in darkness somewhere. - I don't really mind any clever phrase in banners; however, forcing it can render the banner useless. So don't show off unless there really is something to show. zeust wrote: Here are some suggestion on my part. Good point, that would resolve the problem about the empty space on left and right. zeust wrote: - Keep in mind that banners should be compatible with themes. And we have dark theme as well. So there should be some banners that go with light theme and some with dark theme. It's a bonus if banner fits well in both themes. That should be easy, we can always shift the colors to make it fit more in the theme. zeust wrote: - You can add the term "Forums" in the banner, so collectively it'd be "Hi10 Anime Forums". Like what I did the banner of Snk which is lost in darkness somewhere. lmao your banner is in my desktop and in the banners folder too, there're 80+ files so it's not easy for it to always appear since it's random but, once we've encough SnK banners I'll fix the script and use only SnK banners, instead of the 80+ that it's using now (btw, is it possible to remake your banner using the size you've suggested? it was vertically very large, with low resolutions like my 768p it takes more than half page xD). zeust wrote: - I don't really mind any clever phrase in banners; however, forcing it can render the banner useless. So don't show off unless there really is something to show. Sure, these banners from that conetest are temporary until we've enough SnK themed banners. I think it should be easy to switch monthly, we can always make a contest for the banners but, about your suggestion, rather than using one of the most famous anime maybe we should use the most followed of the moment, right now I think that SnK is probably the most followed by everyone. Well I can crop it (the banner) to decrease the height. But won't decrease it as to loose the Eren's face. zeust wrote: I don't really mind any clever phrase in banners; however, forcing it can render the banner useless. So don't show off unless there really is something to show. Sure, these banners from that contest are temporary until we've enough SnK themed banners. By the by, you asked some "guys" to make banners of SnK. Who're you expecting that from? Visitors? If you think you can manage it then fine by me. I don't mind if any visitors want to contribute with their banners but I'd rather not make an official contest for now, since this is the first month and the forum isn't official yet. But I can try to make some by myself if nobody else wants to do any banner, about updating the banners you can leave it to me, or to anyone else who read my post about the scripts explanation. I'll try to make a few as well. i can ask my friend ..